ПРЕДОСТЕРЕЖЕНИЕ: Do not fit rear facing child seats in the front passenger seat. The SRS contains components which are potentially hazardous to service personnel if not handled correctly. The following guidelines and precautions are intended to alert personnel to potential sources of danger and emphasise the importance of ensuring the integrity of the SRS components fitted to the vehicle. The correct procedures must always be used when working on SRS components. Persons working on the SRS system must be fully trained and have been issued with the safety guidelines. The airbag modules contain extremely flammable and hazardous compounds. Contact with water, acids or heavy metals may produce harmful or explosive results. Do not dismantle, incinerate or bring into contact with electricity before the unit has been deployed. Always replace a seat belt assembly that has withstood the strain of a severe vehicle impact or if the webbing shows signs of fraying. Allow a period of 10 minutes to elapse after disconnecting the battery before undertaking any work on the SRS system. Always disconnect the vehicle battery before carrying out any electric welding on a vehicle fitted with an SRS system. ВНИМАНИЕ: Do not expose airbag modules or seat belt pre-tensioners to temperatures exceeding 85° C (185° F). Steering wheel airbag, clock spring. Head airbag modules - front and rear. SRS harnesses, link leads and connectors. Disconnect the battery, earth lead first. Wait 10 minutes for the SRS power circuit to discharge before commencing work. ПРИМЕЧАНИЕ: The SRS uses energy reserve capacitors to keep the system active in the event of electrical supply failure under crash conditions. It is necessary to allow the capacitors sufficient time to discharge (10 minutes) in order to avoid the risk of accidental deployment. In order to ensure system integrity, it is essential that the SRS system is regularly checked and maintained so that it is ready for effective operation in the event of a collision. Carefully inspect SRS components before installation. Do not install a part that shows signs of being dropped or improperly handled, such as dents, cracks or deformation. Do not fit accessories or other objects to trim panels which cover airbags. Never install used SRS components from another vehicle or attempt to repair an SRS component. When repairing an SRS system, only use genuine new parts. Never apply electrical power to an SRS component unless instructed to do so as part of an approved test procedure. Special fixings are necessary for installing an airbag module - do not use other fixings and ensure that all fixings are tightened to the correct torque. Always use new fixings when replacing an SRS component. ВНИМАНИЕ: Take care not to trap airbag modules when fitting interior trim components. ВНИМАНИЕ: Ensure SRS components are not contaminated by oil or grease. ПРИМЕЧАНИЕ: Following seat belt pre-tensioner deployment, the seat belts can still be used as conventional seat belts but will need to be replaced as soon as possible to ensure full SRS protection. ПРИМЕЧАНИЕ: If the SRS components are to be replaced, the part number/bar code of the new unit must be recorded. ПРЕДОСТЕРЕЖЕНИЕ: Never use a multimeter or other general purpose equipment on SRS components. Use only T4 to diagnose system faults. 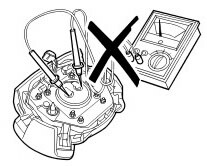 ПРЕДОСТЕРЕЖЕНИЕ: Do not use electrical test equipment on the SRS harness while it is connected to any of the SRS components, it may cause accidental deployment and injury. Never drop an SRS component. The airbag diagnostic control unit is a particularly shock sensitive device and must be handled with extreme care. Airbag modules and seat belt pre-tensioners could deploy if subjected to a strong shock. Never wrap your arms around an airbag module. If a module has to be carried, hold it by the cover with the cover uppermost and the base away from your body. Never transport airbag modules or seat belt pre-tensioners in the passenger compartment of a vehicle. Always use the luggage compartment of the vehicle for carrying airbag modules and seat belt pre-tensioner units. Never attach anything to an airbag cover or any trim component covering an airbag module. Do not allow anything to rest on top of an airbag module. Always keep components cool, dry and free from contamination. Never apply grease or cleaning solvents to seat belt pre-tensioner units, component failure could result. Always store an airbag module with the deployment side uppermost. If it is stored deployment side down, accidental deployment will propel the airbag module with sufficient force to cause serious injury. Keep new airbag modules in their original packaging until just prior to fitting. Place the old module in the empty packaging for carriage. 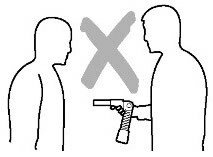 ПРЕДОСТЕРЕЖЕНИЕ: When handling any SRS component, hold by the gas generator housing, DO NOT hold by the airbag. Do not wrap the thumb around the gas generator while holding. Do not drape airbag over shoulder or around neck. For seat buckle type pre-tensioners, hold by the piston tube, with the open end of the piston tube pointing towards the ground and the buckle facing away from your body. Do not cover the end of the piston tube. 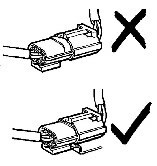 DO NOT hold buckle type pre-tensioners by the bracket assembly or cable. Never point the piston tube towards your body or other people. ПРЕДОСТЕРЕЖЕНИЕ: Airbag modules and seat belt pre-tensioners are classed as explosive devices. For overnight and longer term storage, they must be stored in a secure steel cabinet which has been approved as suitable for the purpose and has been registered with the local authority. ПРЕДОСТЕРЕЖЕНИЕ: Store airbag modules or seat belt pre-tensioners in a designated storage area. If there is no designated storage area available, store in the locked luggage compartment of the vehicle and inform the workshop supervisor. ВНИМАНИЕ: Improper handling or storage can internally damage the airbag module making it inoperative. If you suspect the airbag module has been damaged, install a new module and refer to the deployment/disposal procedures for disposal of the damaged module. Never attempt to modify, splice or repair SRS wiring. Never install electrical equipment such as a mobile telephone, two-way radio or in-car entertainment system in such a way that it could generate electrical interference in the airbag harness. Seek specialist advice when installing such equipment. ПРИМЕЧАНИЕ: SRS wiring can be identified by a special yellow outer sleeve protecting the wires (black with yellow stripe protective coverings are sometimes used). ПРЕДОСТЕРЕЖЕНИЕ: Always ensure SRS wiring is routed correctly. Be careful to avoid trapping or pinching the SRS wiring. ПРЕДОСТЕРЕЖЕНИЕ: Do not leave the connectors hanging loose or allow SRS components to hang from their harnesses. Look for possible chafing points.